The weather is turning crisp and it gets me all excited for fall! Too bad here in Wyoming the fall will be quite short and we will be ushering in a windy winter in no time, but for now I am going to decorate for fall, eat delicious pumpkin recipes, and light my cinnamon candles! 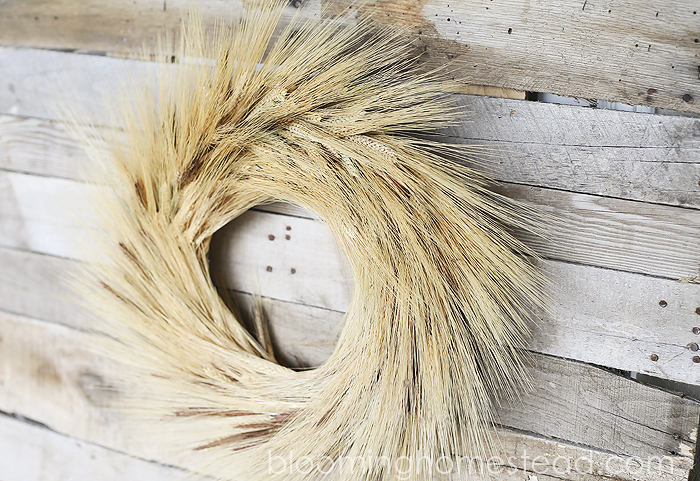 Today I am sharing this lovely DIY Fall Wreath. I love fall wreaths and I love wheat! 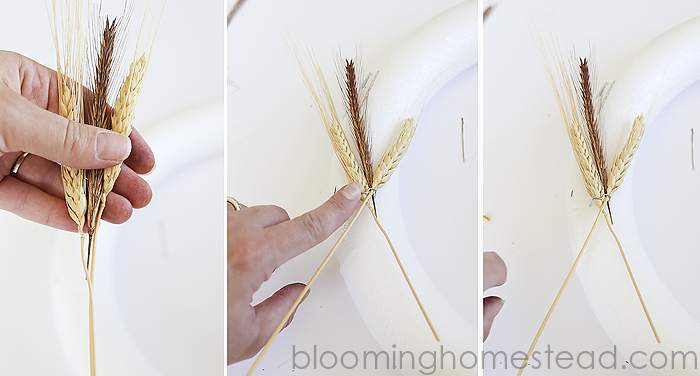 I’ve been on the lookout for a lovely Wheat Fall Wreath and haven’t been able to find exactly what I wanted so I decided to make my own…and I’m going to share the process with you! It is very easy, but a bit time consuming. 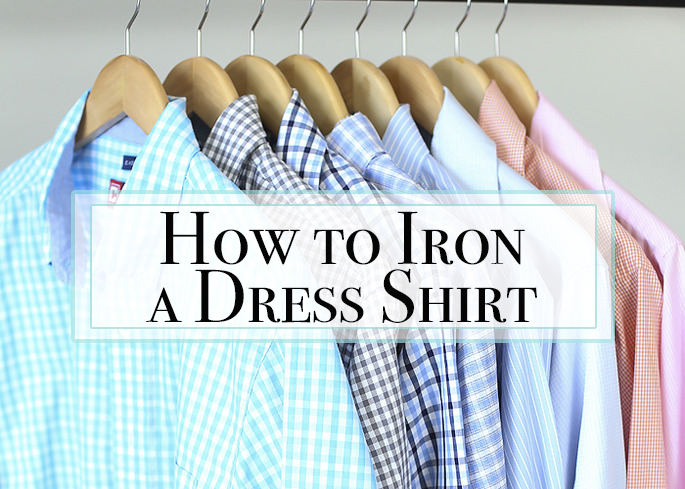 I even created a video tutorial to help make the process easier! I’ll link it at the bottom of the post. 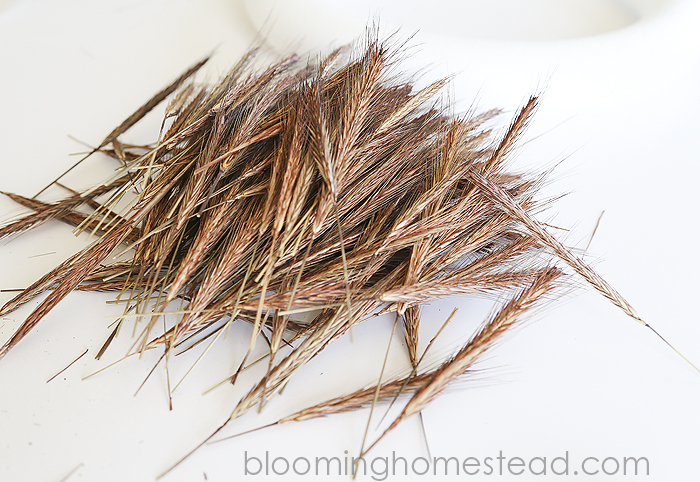 First up you might want to lay out something for your workspace because trimming down and working with this wheat can be a bit messy. Next you’ll open up your wheat bundles and trim them down. 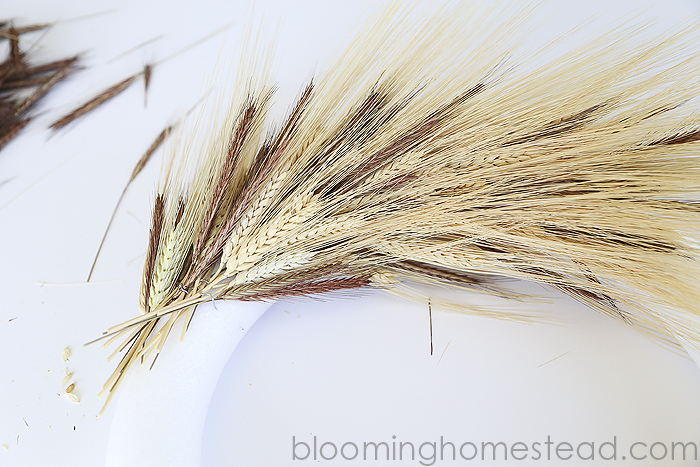 You’ll want to leave a little bit of stem for them to attach to otherwise they won’t stay in the pins as well.Once they are trimmed and ready you’ll start adding them with the floral pins into the foam wreath form. I used at least 3 per pin so that they would stay in better. 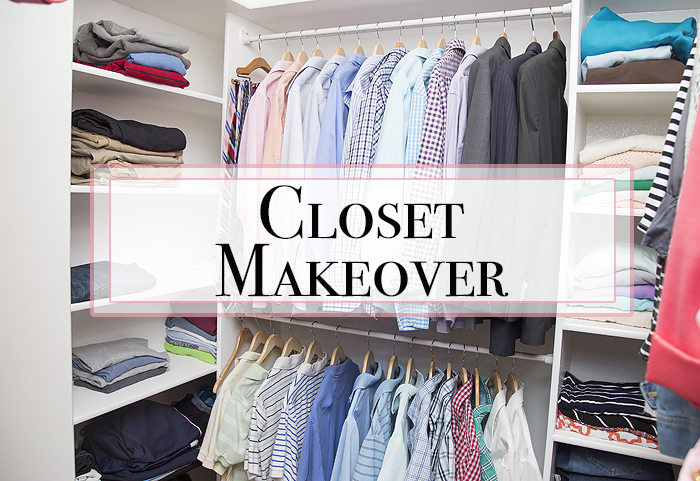 Start layering in wheat and pinning it wherever you have gaps that need covered. You’ll be adding in wheat until you wrap it all the way around to the other side. Once you get to the end it gets a bit tricky to get the wheat placed under the wheat that was already pinned down. 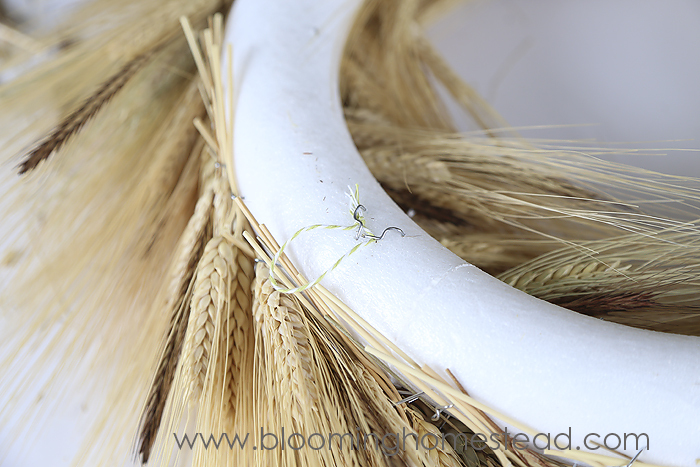 This takes a little patience but the end result is a seamless wheat wreath that is just lovely! I flipped it over and pinned on a little tie to the back to hang it up and there you have it! For more details instructions check out my video tutorial on my youtube channel. I had this wreath envisioned for a while now and I just love how it turned out! Sometimes my big ideas don’t end up as I want but I am pleased to say this one met my expectations and more. I’ll be sharing my fall decor later this week. Beautiful wreath. I so loved learning how to make it. Have a lovely week. 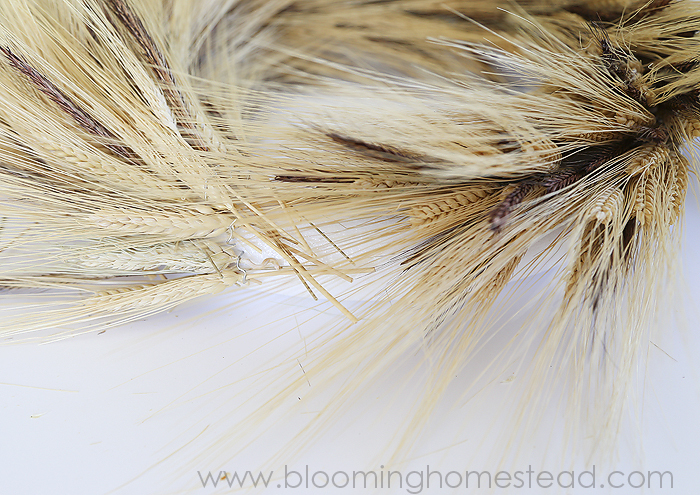 I love this wheat wreath, so simple, it’s perfect! Thanks for sharing at Link It or Lump It this week. I’ll be featuring your wreath at next week’s party! Beautiful wreath idea Marie! I love that it’s a natural look, thanks for sharing! I love the natural look too! You did a BEAUTIFUL job with this wreath! It looks gorgeous! So pretty! I love making wreaths so I think I can be patient with this! Pinned! Thanks so much, it does take a little patience but its worth it! I agree Julie, we could have had a craft night. Bummer! How pretty! That would look great on my front door for the Fall! Thank you, I am really loving it and it was quite easy! This wreath is simply beautiful! I hope to be able to re-create it for my front door for fall, although I am not sure when fall will come to Southern California. Thank you for linking it to Outside the Box link party! It turned out lovely! 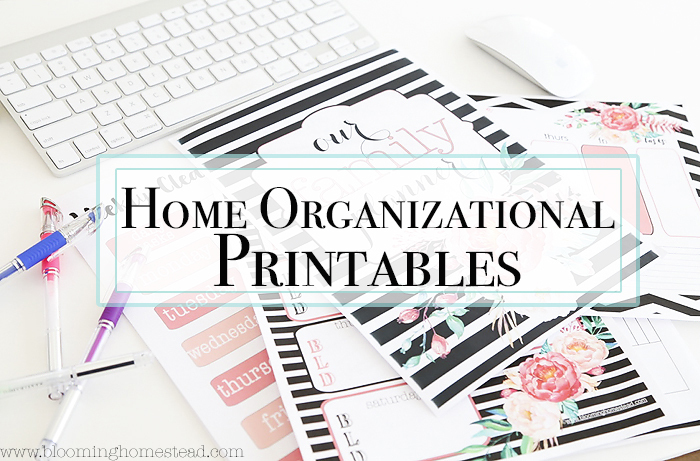 Thanks so much for linking up your fabulous project to the par-tay. Have a great end to your week. Hugs! What a gorgeous wreath for fall. I may have to make one of these! I’d love for you to share this at my weekly link party http://www.thelifeofjenniferdawn.com/2014/09/a-little-bird-told-me-link-party-107.html Hope to see you there! Beautiful!! 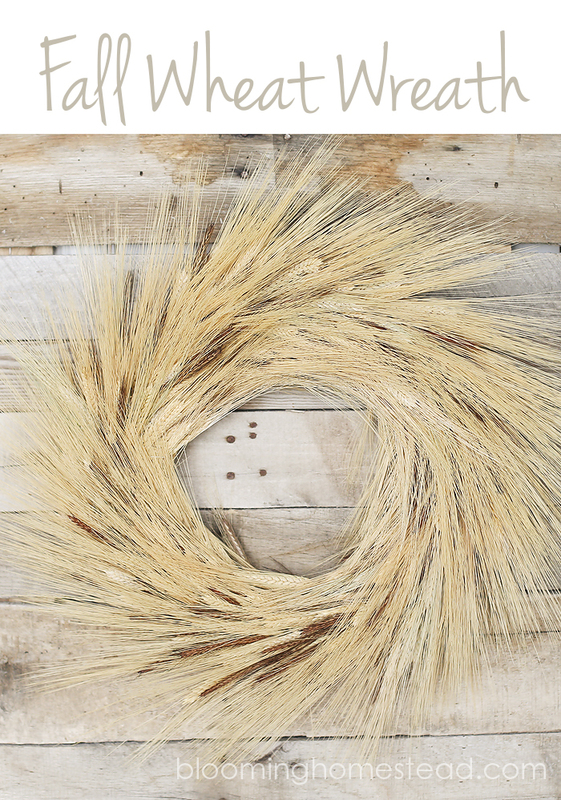 I would not have thought of using dry wheat like that.. this is SOO pretty though and I want one for my door! 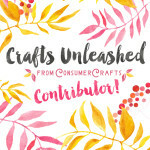 sharing it today in the Create Link Inspire features crafts addition over at Nap-Time Creations… pinned, tweeted and shared on FB… I’d love a retweet or fb share to help spread the word! Happy weekend. This turned out so gorgeous! 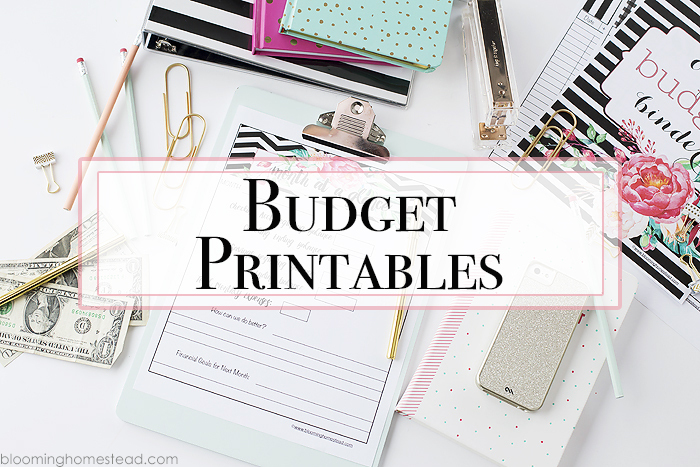 I love that you created a video tutorial to go with it:) Thanks again for sharing with us at the Teach Me Tuesday Linky Party! I love your wreath! I am featuring it for worthwhile Wednesdays! Were live at 8pm. Stop by grab your button, and link up again! Thanks so much for linking to Whimsy Wednesday, Marie! I included you in my weekly feature from the party – Easy Ways To Decorate For Fall! Party is open for this week – hope to see you there! Ho there this is the first time that I have been to your blog and I am loving it! The wreath you made is amazing and so beautiful. A simple natural wreath is just what I have been feeling lately. This is classic . Found this site via pinterest and I had to thank you for the barnwood mantle inspiration and give a shout out to a fellow Wyo mama! I wish we were closer to a craft store (I guess I’ll have to wait until my next visit to Billings!) or else I’d make this wreath today! Hello fellow Wyoming-ite! 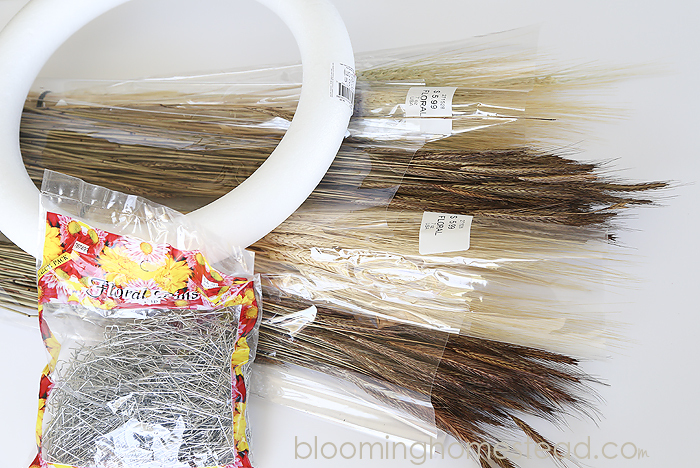 You will definitely need to make this wreath. 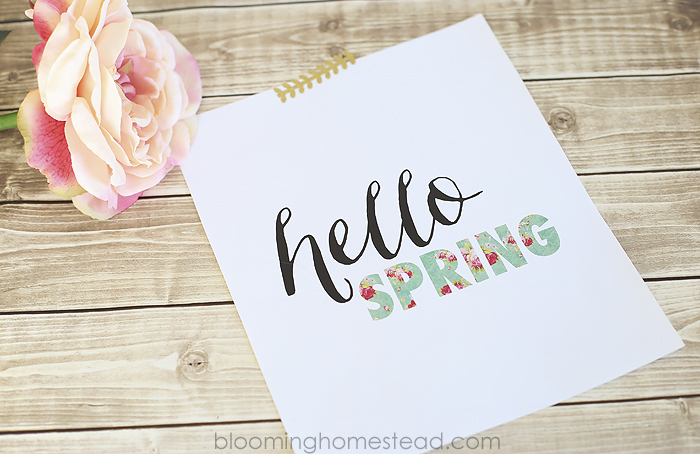 gorgeous wreath … i’m making that today … i was thinking as i watched you make it, why not cover the white foam wreath form with burlap ribbon or a slice of burlap fabric … i think i’ll have to do it that way …. Thats a great idea Darlene. I knew the base would be covered so I didn’t worry about burlap, but it would be a bit cleaner in case any of it showed through.